Mage Titans is the event for Magento developers. 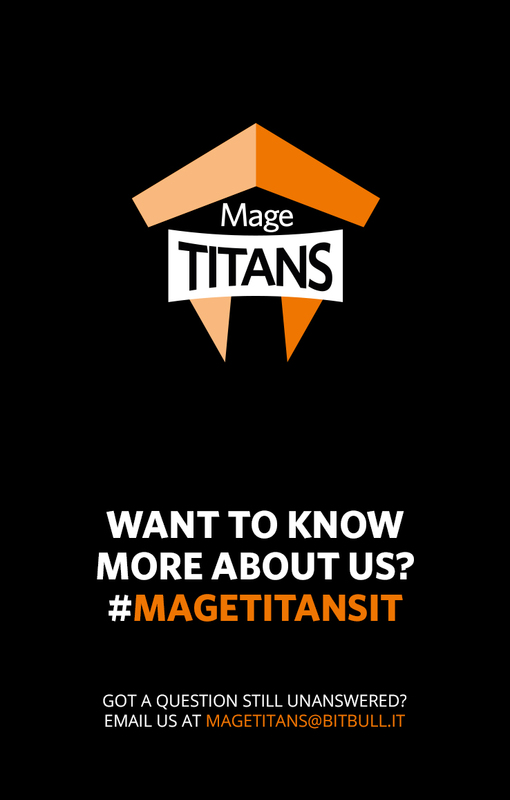 Mage Titans is an event by the community, for the community, but why not expand this community to give to others? Your donations and any profit will go to Rebecca Brocton‘s crowdfund for Osmi. Our first conference was held in Manchester in 2014 and was such a success that its organisers decided to return in 2015 and expand their reach into other countries in 2016, starting with Italy. Like the sound of it? Grab your early bird before it ends and be part of Mage Titans Italy! The conference will take place in Milan. Our aim is to connect, collaborate, and contribute with the Magento community. Our conference offers a valuable opportunity to join Magento experts in exploratory discussions. A not-for-profit community event; Mage Titans only exists thanks to our supporters and our sponsors. Meet the companies that make a difference. We know it will be on 6th of April 2018 and jam packed with awesome talks and presentations! The agenda is still taking shape but this will give you an idea of timings. Discover the new magetitans. We offer a stage for Magento experts from around the World, and up-and-coming Magento development talent to share their knowledge on Magento-centric subjects with you, the community.